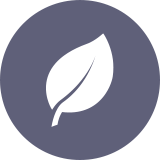 We received such a great response about Reid Tracy's post about planting trees to honor and celebrate the life of Louise Hay. So many emails and comments poured in from all over the world from people telling us that they wanted to plant a tree just for Louise. Our goal is to get as many trees planted as possible and in every country. If you have already planted a tree or are planning on planting a tree, please share a picture and the location of the tree below. Thank you for all of your love and support during this time! We are so grateful to have each and every one you in the Hay House Family. I couldn't meet Loiuse Hay, when she was alive, but I greatly appreciate her contribution to the Universe. I love Sobieszewska Island, I feel connected to the Universe there and I know everything will be ok, when I am there. I hope Louise's energy will come in there too. It's a Hawthorne tree. I actually planted two. They are magickal and so is Louise! I met Louise twice at her workshops when she came to England and have been in awe of her for many years. It was my 60th birthday today, and I wanted to honour Louise s memory as one of the most influential people in my life. Vanderwolf pine tree are very beautiful and special. This tree is planted in honor of a very special lady, Louise Hay, who has been my greatest teacher. The love we give to the tree /nature, we received only good things. Just like Louise, her lovely heart and her pure soul, help us all the time with many good things! Thank you Louise Hay! Dear Friends........I didn't know this info' was available! Just discovered it! When our dear Louise died I was in Florida and automatically planted a beautiful Magnolia tree. I'm so sorry but I don't have a photo of it. We have since moved to SC. Years ago when Louise was in her prime she and I helped the Hayrides and as I was helping the gay community there, with Louise's guidance. I was holding Healing Hearts Seminars in Ft. Walton Beach, Florida. Whenever we 'lost' a dear one I asked to plant a tree for that person.....what a coincidence, after all these years the trees have continued to be planted. In my Will I also have stated "plant a tree".......Thank you for wonderful memories of an 82 year old (now)! With much, much love, Diane (Steinberg). Decidí plantar un limonero en el fondo de mi casa porque para mí significa la unidad familiar y el amor de sus integrantes. En mi familia parterna siempre se han plantado limoneros y es un símbolo de amor entre nosotros. Gracias! We planted a Willow Tree because of it’s beauty, flexibility, ease, and going with the flow. Thank you Louise for sharing your truth with us, so we may know our truth and the truth of others. think Louise Would of liked the location. Yes, Louise is a great model for me...i am what i am by her simple and confidence life. She inspires me every time i look at her..my mentor my one and only person who believe in me without judging but trying her best to make me feel better and love myself. This is one of the most beautiful places in the world. Just the right place to plant a tree for Louise. Thank you for being my guiding light for almost 30 years. I would to plant a tree in honour of Louise L. Hay I am certifiied Life Coach and Teacher Worshop of Heal Yoir Life, philosophy of Louise L. Hay. I had the privilege of meeting her at an “ I can do conference”. She helped make this world a more loving place. The location is my home :-). I love to have Louise and her wonderful energy around me. This little tree, a Rowan or Mountain Ash, reminds me of the tall one we had in our garden, when I was a little girl. I loved to climb on trees! The taller the better!!! So I often sat at the top of trees, in summer with an ice cream! ;-), including the one in our garden, too. I love Louise! She is my "adopted" Grandmother for me! She would have smiled at me seeing me climbing and sitting in the trees, this I am sure of! So in my heart and in my thoughts I already sit in this new planted tree smiling at Her. Or - sitting with Her together in the tree! :-) In the morning when I look at all the wonderful plants on our terrace I say "Hi, Louise! How are You today?" when I look at the little rowan. My mum, Hang Fa, has planted a magnolia tree in Hong Kong years ago and she has been always taking good care of it. My mum would like to name this tree as Louise as a gratitude for her positive contribution to the world. Thank you! This tree is close to our healing room. Every time I do healing I look at that tree. It’s a pomegranate tree that we planted last year and it wasn’t doing well. Once I named it Louisa Hay with the intention of honoring her and following her example of being positive. You can change your life. Well, that tree is now beautiful and it reminds me of her. Thoughts become things. Every time I look at it. We miss you Louisa hay. I planted it by my house until next year when it is strong enough to survive on my front lawn. I choose this tree because this is a city where I did soul searching and I grew as a person. Miraflores - Lima has been a home of mine for the past three years and the experience has changed me forever. I am very thankful to have had this journey and experience. I am pleased that I got to know myself better as a person here and enjoy my job. This is a second tree I planted today, it is actually kind of a bush, named Thuja, but it can grow up to 5 meters. It is not a very good picture because of the grass behind it. Forgot to say in my previous post that it was a cherry tree. I just could`t decide which one to plant, so I planted them both - Thuja and a little Cherry tree. Surprised to see that I am the first in my country, because Louise is well known in our country and all of her books have been translated. It just seemed Louise would smile if she saw my tree. Louise once told me everyone can get along. I planted this Apricot, Nectarine, Plum & Peach (all in one) tree that shows this in my back yard. This is a reminder of growth and abundance as well as raising above! I was born in Peru and eventhough I don't live there anymore I know that the need to plant trees there is enorm. There is an organization(entrearbolesperu.com) that plants a tree in the name of a beloved one. They do it in big proyects that help forest parts of the city with no trees. This is a larch tree which turns a beautiful golden color in the fall. I grew this small oak tree from a seed and I was wondering where I was going to plant it when I got the message to plant a tree in honor of Louise. The trees are important for our life. I love trees and I plant them every year. All my trees have their special names and this one is called “Luis” for a memory of LH. She has the same letters in her name as me LH. And I admire her and love her. Thanks for all LH. Trees are important for life and I beautiful and so is Louise Hayes work. I am the initiator of the Brazilian for us program that intense to plant millions of trees in the Amazon, throughout Brazil and throughout the world with the help of many people and institutions. Pawpaw planted in honor of Louise in Panton, VT - a raffle prize from Living Tree Alliance's Sukkot on the Farm event. The tree is an oak tree and it represents the special relationship I have with my partner, how slowly grows stronger and healthier every day; how we develop and grow more and more each day into being the greatest gift for the world, that we can become! Location is where we live together our wonderful prosperous life in abundance of Life and Love! I planted a cedar tree, symbolic of immortality and elevation. Louise will remain alive in her teachings and has elevated countless lives. Honoring Louise during the reunion of Heal your life workshop leaders at my Center for well-being in Chennai, India. Elegi un Pino Limon, porque el Pino es basicamente un arbol FLEXIBLE a los vientos fuertes, RESISTENTE a las bajas temperaturas, a las grandes alturas y a los suelos ocasionalmente secos, hecha grandes raices. Especialmente el pino limon deja su perfume en las manos con solo ser rozado... todo esto refleja lo que me ha enseñado Louise, lo que intento vivir con lo que la Maestra ha creado en mi vida. ETERNAMENTE AGRADECIDA!!! <3 <3 Con AMOR: Silvia. I had seen a post from Louise Hay on her Facebook page that I included a photo of Louise in her home standing in front of her apple tree. Louise described in her post how much she loved her apple tree and fruit that it bared. Louise also mentioned how she loved making apple pies using the apples from her tree. After reading this post I became inspired to grow an apple tree. I bought two variteys of apples and researched how to make the apple seeds sprout. Attached to this message you will fing a picture of my apple tree. It is now 3 years old and even with the change of weather continues to sprout new leaves. There is also a second apple tree that is of a different type of variety. It has also grown beautifully. After Louise' s transition I decided it is time to plant the trees into the ground. Thank you Louise for all that you have done. Today I proud to teach my children of the women who taught me to look in the mirror and say I Love You. I have named my apple trees Louise and Lulu. Here is a photo of Lulu. I had seen a post from Louise Hay on her Facebook page that I included a photo of Louise in her home standing in front of her apple tree. Louise described in her post how much she loved her apple tree and fruit that it bared. Louise also mentioned how she loved making apple pies using the apples from her tree. After reading this post I became inspired to grow an apple tree. I bought two variteys of apples and researched how to make the apple seeds sprout. Attached to this message you will fing a picture of my apple tree. It is now 3 years old and even with the change of weather continues to sprout new leaves. There is also a second apple tree that is of a different type of variety. It has also grown beautifully. After Louise' s transition I decided it is time to plant the trees into the ground. Thank you Louise for all that you have done. Today I proud to teach my children of the women who taught me to look in the mirror and say I Love You. I have named my apple trees Louise and Lulu. This Weeping Tea Tree is native to our area and is a lyrical, poetic tree. It has been planted on our beloved property as part of native forest regeneration and erosion control to heal mother earth. The tree has been placed near our front driveway and we will see it each day and think of Louise with love and gratitude, Katia, Taso & Toli. This little seedling was a volunteer in our little guest house garden. Cedar trees are symbolic of immortality and elevation. What could be more perfect in memory of the legacy left by Louse Hay. This little tree will be given a spot with lots if room to spread it's wings in our cottage garden. I planted a purple Jacaranda in honor of our beloved Louise. As she planted beautiful seeds of love, self acceptance and positive thinking in me....I hope this seed will grow to a big and magical tree. The name of the tree is Boulevard. I don't have space for a tree in my garden so I chose to dedicate a tree via www.woodlandtrust.org.uk I know that they'll take care of my "Louise Tree" way better than I would! I chose Wassell Wood as perhaps the closest WT wood to my home. Apparently, Henry IV spent a winter there in 1405 during his battles to prevent Welsh independence. It was also featured in the civil war during 1645. There has been so much violence in the area. It feels right to have a tree for Louise here, a link to the love, joy, healing and forgiveness and so much more that marked her life. The Arbor Day Foundation is planting three trees for me in a National Forest. I can dedicate them to anyone I want. I want to dedicate one to Louise Hay. I have no place to plant a tree of my own, so I am uploading the card with the dedication listed on it. Thank you! I love a verigated dogwood tree. I planted one alongside my fence outside my kitchen window, before winter set in. I have my fingers crossed that it flourishes. Yes, every time I look at it - it will remind me of what she has done for myself and others. And as it grows I know my heart and spirit will grow with it. I`m a gardeaner and I plant thousands of trees to my arboretum in Finland. I wish you well and good times. It is a Hangan plum tree planted in my garden. I planted more trees, but this was the special one for Louise. We are reforesting our street and wanted to honor Louise with the trees. We love you Louise! I chose to plant this true "Blue Spruce", because it is a 4 season tree. Just like Louise's words of wisdom and her philosophy it is with me throughout the year, and in the summer months, when the new sprouts come in, it turns a beautiful and peaceful blue color. I planted where I can clearly see it every morning as I come down to breakfast....it reminds me to be GRATEFUL, for yet another day. All is well in my world. Having seeded this avocado and planting in our orchard on 12 November 2017 is the perfect way to remember Louise Hay for the great woman she was and how her calming words echoed love through her books, cards and recordings. Louise's messages of love, forgiveness and gratitude will always be treasured. Her endless words of wisdom will linger in the fruit and bring calm to those who eat from it. Thank you for being, Louise Hay. Hello dear people, Here I send my photo of my Louise’s Tree! I am Cecilia Tofanari from Buenos Aires, Argentina. Blessings and thank you! I have planted an apple tree in my backyard. the reason why is becouse I anted something that bears fruit to remember Louise. As her work has born so much fruit in my life and in the lives of so many others.Her first book, you can heal your life I bought not long after it was translated into Dutch. And it was the start for me on a long journey to self healing. I am so gratefull to her for that book. 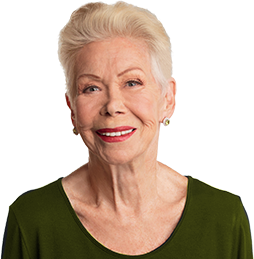 I recently saw the post on facebook regarding the tree planting to honor Louise Hay’s life and her work! I find that a very beautiful idea and as Louise Hay’s books and positive affirmations have always accompanied my families and my own life to heal and to keep a positive mindset, I am sending you a picture attached of one of the trees we have planted today in Germany, Berlin dedicated to her with our best wishes! As soon as I heard of Louise's death, I missed her straight away. Then you told us about planting a tree in her honour. Well, I had already decided to cut down an old cherry tree at the bottom of my garden, leaving a nice big space for something new and I felt this was the motivation I was looking for to dedicate that space. I have planted (in Louise's honour) a bunch of fruit trees and bushes. I haven't got photos yet, but seeing as my children own a signwriting business, I'll get a rememberance plaque made then send you a good photo. I am very grateful to Louise for the impact she's had on my life: I knew she was right from the word "go" many, many years ago. I love her and thank her and wish you all well in continuing her inspired work. I chose the Zampa Dust Rose, because off the colours! The pure red for Love ❤ and White for the Purity! She was and stil is an inspiration to us all..She will be missed but for always in our hearts❤! May she rest in peace and God bless her soul! She is now a shining star at the heavens above! With much Blessings and Love from, Bianca Smit from the Netherlands in Den Helder! I only just can plant it in the Spring! We ladies of the Seaking Serenity group meet each Saturday and Sunday at Lemon Bay Park to learn to better take care of ourselves. I chose to plant a Poinciana Royal to honor Louise knowing we will soon be shaded by glorious blooms and feathery foliage. I wish to have this beautiful reminder of Louise’s faith in all of our growth and recovery. This is a beautiful bush that attracts butterflies & bees. I just love it & will think of Louise & her amazing gifts whenever I look at it & admire the honey scented flowers covered in butterflies & bees. Truly a beautiful person who left an amazing legacy to live on. Hi Reid Tracy with Hay House- I dedicated this rose bush as I didn't have a place to plant a tree. It is amazing how it has grown and blossoms so beautifully despite the humidity here by the beach. I was called to it for her because the vibrant color reminded me of her and every time I look at it I smile. Also I planted a prayer and affirmation with it that spoke to continuing her legacy and her energy forever and letting it inspire others. Thank you for this program and for your website and company. It truly changes lives. To Louise! I have no photo at present. I started a tree from a cutting from a fig tree and it has now rooted with a few leaves. It is in a pot on my patio. It is a hardy tree that survives even in the desert and the teen degrees of cold we get here in the winter. I think of Louise surviving through all the chaos and giving freely the fruits of her experiences. The tree I chose to honor Louise was not random, it is a ROWAN TREE, because according to her day and month of birth is the one that defines her personality. Rowan Tree (Sensibility) Full of charm, cheerful, gives without expectations, likes to draw attention, loves life, emotions, does not rest, and even likes complications, is both dependent and independent, has good taste, is an artistic person, passionate, emotional, is a good company, do not forget. I live in Buenos Aires and I am a Heal Your Life Teacher-teacher cotinuing her legacy. Honoring the life of Louise Hay with planting of 10 trees in Israel through the Jewish National Fund. We planted a cedar tree at the doorway of our Unity Church (Unity Church of Mississauga, Ontario, Canada) to remember Louise Hay - her kindness and wonderful contributions to millions of people the world over. The tree planting team - Carol Kettlewell and photographer Terri Wegemer. Thank you for this opportunity to share. We invited local Heal Your Life workshop leaders to a day honoring Louise on Nov. 4th, and the tree planting as part of this special day. It is a Marina Strawberry tree and will flower in the spring. Around the tree we also placed word stones that represented Louise's philosophy: joy, forgiveness, peace, etc. Each person expressed how his/her work had changed their lives. It was a beautiful celebration. I planted this avocado tree for Louise for being a part of my daily affirmations for years. I will visit this tree yearly and expect it to bear fruit for many to enjoy. I decided to plant an oak tree for Louise, because, just like the oak, she was majestic, greater-than-life, as she provided so much inspiration for anyone who was willing to sit in her shade. She was generous, spiritual and wise, and just like an oak, she enjoyed a long, healthy, happy and abundant life. In addition, Louise was firmly established in the ground of her teachings, her wisdom combining the simplicity and practicality of roots planted deep in the earth, along with unbounded spiritual wisdom, like a tall oak tree reaching up to the sky. May the acorns of her legacy live on in our hearts forever! Thank you, dear Louise, for being an extraordinary teacher and such an inspiration in my life! Your contribution to the world is immense! I planted an ‘Australian Native Hibiscus’ tree in Louise’s honour on the weekend and it gets beautiful large pink flowers. It will be the centre piece of a fairy/rock garden that wasn’t planned, but just evolved. I will send a photo when the project is complete. I live at Ferny Grove, a suburb of Brisbane, Queensland, Australia. Thank you so much for this wonderful idea and it’s a small thing that I can do to somehow repay Louise for all her love and wisdom over the years. Her work has helped me enormously with healing my challenges and I use her book ‘You Can Heal Your Life’ everyday, if not for me, then someone else. This tree was planted by me and a friend Ivan in the forest of Meudon near Paris, France. We love Louise and we are forever grateful for her teachings and exemple of life ! What a wonderful way to remember such a remarkable woman. Louise touched my life and I am super proud to be sharing in planting a tree in her memory. My fur baby, Gabriel (was 6 months old when I adopted him from the Animal Shelter just over and a half year ago) added his stamp of approval. I donated a tree in Louise's honor through Heifer international so that it can provide support for an impoverished family somewhere on the planet. It seemed the best way to honor someone with such a global presence. Thank you for giving us a way to honor her. I planted a burning bush for Louise. Her inspiration will forever burn inside all of the lives that she touched. Thank you Louise, you saved my life. My family planted this Cotton-less Cottonwood tree to honor Louise. I also painted rocks to put around the base. Most of them say "I choose happiness" on the back. I love this lady! I have been to Hay house events in Vegas & Denver. Saturday there was a gathering of local Heal Your Life workshop leaders (north county San Diego) to celebrate Louise's life and plant a tree. Each person also chose a wordstone that represented some aspect of Louise's work (love, gratitude, wisdom, forgiveness, etc) and shared something as they placed the stone and thanked Louise. The tree is a Marina Strawberry tree and will product lovely flowers. It was planted next to a large angel statue we have. Hello Hay House family!! I'm sending you pictures of my baby peach tree, I grow it from the seed!!! It's not its final place, I have to leave it grow. I come from Puebla, Pue. México. And it's an honor to plant it in loving memory of Lulu. Even though I could not be able to meet her, I am grateful for her beautiful work. God bless her and blessings to you all!! I, Mariette van Dooren planted a Japanese Maple for Louise. We’re on a River property where it is very quiet and peaceful. The tree is growing for Louise and all people who care for a peaceful world. We live in the state of Victoria in Australia, 200 km straight above Melbourne. Such a brilliant idea to plant a tree worldwide for Louise. I planted this avocado tree in my front yard. Avocados are incredibly popular, and often referred to as a superfood among health conscious individuals, for its health benefits. I think it's a perfect tree to represent Louise's contribution to the health and wellbeing of so many people! Planted this Black Diamond Crepe Myrtle in Louise’s honor on Friday, Oct 20, 2017 in Georgetown, KY. It may not look like much now, but come next year it will have stunning red blooms. We have planted our tree for Louise in our yard in Asheville, North Carolina. Here’s our tree! Many thanks to Louise for the positive way I have turned my life around for the better. She was, and still remains one of my biggest inspirations. In her honor I've planted a Meyer Lemon Tree in a pot on my lanai in Sunset Beach, Haleiwa, Hi. The fruit of this tree will be a metaphor of the goodness she provided to make life bright and healthy. Hello, I'm writing to say that I purchased and planted a "Rose of Sharon" tree in honor of Louise Hay. Louise Hay changed my life the day I was given her book, "You Can Heal Your Life" and that was over 29 years ago. I am so grateful for the love and work she shared through her books, videos, live courses, etc. It is an honor to be a "Heal Your Life Coach" and to carry on her vision. My husband and I planted this Moringa tree in Louise Hay’s honor over the weekend in Costa Rica. We are so excited to see it grow. Hello, I will transplant this Redbud tree after the leaves fall. I chose this because the heart shaped leaves and the pink spring blossoms will always remind me of Louise. Hi all, Enjoyed getting this done! 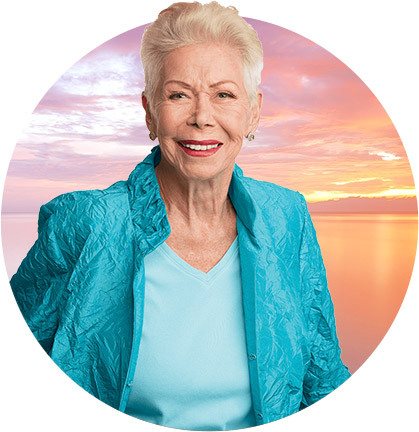 In Memory of Louise Hay, and inspiration for all. Planted in Muskegon, Michigan: Red Maple. Hi. I’m space poor so I planted a shrub. ( and I wanted her plant to be in my garden). It has fragrant leaves, white flowers and red berries to feed the birds. Oh, it’s also evergreen. I thought it was quite apt for her. I have grown sycamores from seed and they have been planted on the Isle of Mull, Scotland and in the spring, I will plant 4 apple trees and 2 oak, I have grown from seed but don’t have the space in my garden to plant....they will all be dedicated to Louise. I am on the West coast of Scotland in a place called Oban. I decided to plant an oak tree for Louise, because just like the oak, she was majestic, greater-than-life, providing so much inspiration for anyone who was willing to sit in her shade. She was generous, spiritual and wise, and just like an oak, she lived a long, healthy, happy and abundant life. In addition, Louise was firm in her ground of knowledge and teachings, her wisdom combining the simplicity and practicality of roots planted deep in the earth, alongside unbounded spiritual wisdom, like a tall oak reaching up to the sky. May the acorns of her legacy live on in our hearts forever! Thank you, dear Louise, for being such an extraordinary teacher and inspiration in my life! Your contribution to the world is immense, immeasurable! This tree is given to St. Joseph Hospital in honor of Louise's legacy in Kaohsiung, Taiwan. I give thanks for Louise's inspirations and her life. I have been listening to her while I'm home caring my dad in the hospital for the last three weeks. Her calming voice and wisdom gives me courage to find joy in the midst of challenges. I love you and thank you, Louise!!!! My hubby and I chose a "Butterfly" Tree to grow in our backyard to honor Louise. Her teachings have touched our lives in marvellous ways! All of our love from Testelt, Belgium! Ecuador's "Superleaf" tea. It is native to a thin stretch of the upper Amazon that hugs the Andes Mountains. Grown by the Kichwa people. Planted on our land in the Southern Andes at 5,000 ft., 4 degrees south of the Equator, near a small town called Vilcabamba. We had a campaign of reforestation in a remote part of the countryside, and I decided to dedicate one tree to honor Louise Hay, for all her wonderful advice and inspiration throughout the years. The tree is thin, almost like a line in the left lower part of the picture. I imagine that Louise would have loved to see a young community comitted to build a better future. The trees are generations themselves, and it's a good feeling to watch them grow in the world of tomorrow. Hi, this is a sassafras tree I planted for Louise, the planet, the birds, my neighborhood and me. We are in Colmar, Pennsylvania. Thank you and have a great day. My Mother also passed in august this year (20th) and a close friend gave me 6 pink bottlebrush trees at her funeral. I decided to plant 3 in honour of my Mum and 3 in honour of Louise. They are all planted on our Land for Wildlife property so will become home and food for many animals as well as a beautiful tribute to two amazing women. Yesterday I planted a Walnut tree in Benasque in the Pirenees mountains in Spain. Before planting I leave in the Earth some affirmations from Louise's calendar. I send you pictures I'm very gratefull to Louise and her work. Thank you so much for doing this. I think its a great idea to honour Louise. Will plant in the spring in loving memory of Louise. Matthew, my step-son, and I planted a tree on my property today for Louise. We live in Marlboro, NY. We are from Romania, Brasov and we plant a pear tree with our kids. We loved Louise and she is in our heart. With lots of love , am sure the tree will shower love to someone later, ...It's a temporary stay but I know it will survive the test of time .. I have attached a photo of an English Lavender tree that we planted (in Melbourne, Australia) to honour Louise's life and as a symbol of gratitude for all of the wonderful gifts she has given us. When I got the email on October 8th, honoring Louise's birthday with the suggestion to plant a tree in her honor I was tickled, but not surprised, by the synchronicity of the moment. I had just finished chanting for Louise, the lighted candle and her image still on my desk, when I read the email forwarded from a friend. How perfect is this I thought, Seb and I are planting the Red Maple, Acer Freemanii today! The freemanii part was extra perfect. Already steeped in gratitude for her speak- from- the- heart courage, her teaching, her voice ( I loved the sound of her voice!) I was somewhere between laughing and crying for the elegance of the moment. So here is a pic of the Red Maple, planted on October 8th in Dunmanway, West Cork, Ireland for Louise Hay. Planted with love by Stephen Harrington & Sebastien Roumeau. Thank you Louise for all you inspired and taught and for the comfort of your voice. I, and millions like me, are forever grateful for your spark and all the light you expanded in the universe. Today I planted a Plumeria Tree in honor of Louise and what a great idea! I love wearing the flowers in my hair. The tree is at my home on the Ranch in California. When I go over to my home in Hawaii I'll plant one there too. Thanks so much again! She will always be a fabulous spirit! Many Blessings to you and your precious family! In honor of Louise we have just planted a Eucalyptus tree. These are a few that made it through hurricanes in Florida. I will plant Blue spruce in Louise's honor. My name is Ruta Joshi and I am writing to send you pictures of the tree that me and my husband Yogesh, planted in honour of Louise Hay in Melbourne, Australia. It’s a wonderful thought that Louise planted and it’s amazing to see that you are nurturing it further, so that people like us who love Louise and her work also could participate and always keep her with us. A tree in West Germany in honor of Louise Hay. This is the forest in 51597 Morsbach, Germany, at the area of Cologne, I loved to walk through and play in during my childhood and still now. I own it since 2010, my parents, who owned it before, have planted trees in the forest from all over europe, which they discover at there journeys. And this is the place, where I plant a tree for Louise. Around March could be the best time. The additional fotos of the chapel shows a tree, which is more than 360 years old... this place is deeply connected to my family and I love it to light candles there at christmas. I hope Louise´s tree of love is there much longer. Best wishes to all of Hay House, to Louise, Reid Tracy and to all, who are connected with Louise and Hayhouse. Thank your for ongoing with Hayhouse and the Foundation. Few years ago Louise Hay saved my life. As family we decided to plant 5 trees as we are family of 5. Trees were planted in national park KRKONOŠE, Liberec region, Czech Republic. She will be in our hearts for ever. Here is a photo of my beautiful yellow rose bush planted in memory of Louise. It's aptly named 'Peace.' And is thriving in my back garden in Witney, Oxfordshire, UK. In honour of Louise and her amazing life's work, we have planted an oak tree at our house in Great Brak River, Western Cape, South Africa. Attached is a photo of the tree about to be planted. I send you the picture of the tree (Julibrissin) that I planted on Monday for Louise. When I received the newsletter of the idea of planting a tree for Louise – I was thrilled at such a wonderful suggestion! I had this strange shaped patch of land in between two walkways near my garage. I never knew what to do with that area. It is on a slope downward so I could not add a bird bath (my first plan) – so it just sat. Then I got the email from Hay House and it just struck me to plant something there. I could not plant an exact tree due to the fear of it blocking my garage door and sensors. So, since I LOVE Dr. Wayne Dyer as much as I do Louise Hay ~ I felt they both deserved a piece of green shrub (which I “rescued” from one of our HOA’s updating their landscaping and were going to throw them out!). So there you have it – Mini Wayne & Mini Louise are now beautifully resting in my front yard. My daughter helped to surround them with beautiful river rocks, stones and an actual geode she mined in South Dakota (my beautiful home state – it is at the very top of the picture, split into two). They bring a smile to our faces and we thank them every day for coming to live with us. We have, also, been noticing a sweet baby lizard that has been residing underneath them. Have caught him sunbathing a few times and then retreat back under the plants & rocks --- if I can actually get my phone out of my purse in time to capture this, I will send a picture….but is a quick guy! We have named him Reid. I hope you all have a wonderful and blessed day. I love you all and your hard work; and especially Wayne and Louise! It is our great honour to plant this established Japanese Maple in pride of place in our front yard to commemorate Louise. May her legacy grow forever & her light continue to shine upon us all. I seeded the Avocado pip, planted it and named her Louise. I'm a South African residing in New Zealand and my Louise Tree has been planted at the following address in our newly formed orchard. My fur baby, Gabriel (was 6 months old when I adopted him from the Animal Shelter just over and a half year ago) added his stamp of approval. hi there! Saturday there was a gathering of local Heal Your Life workshop leaders (north county San Diego) to celebrate Louise's life and plant a tree. Each person also chose a wordstone that represented some aspect of Louise's work (love, gratitude, wisdom, forgiveness, etc) and shared something as they placed the stone and thanked Louise. The tree is a Marina Strawberry tree and will product lovely flowers. It was planted next to a large angel statue we have. A maple  Tree is beautiful all year long - it is a Joy to look at and be around.. it ignites wonder and reminds us of how beautiful life is. I planted in a serene nature trail in my town in honor of Louise - many will love its beauty as we all loved LuLu's Kind selfless and caring loving ❤️ heart- love you all! With love, I accompanied and was enchanted with the idea of planting a tree in every place of the world, so that the legacy of Louise Hay stays alive forever. And so people all over the world know the love that heals. I live in Ilhabela north coast of the state of São Paulo - Brazil, and we live in a fishing village south of Ilhabela where the unconditional love taught by Louise Hay came with a brilliant light. There is a belvedere where tourists come to this village - Bonete Beach in Ilhabela. Wherever I can go up here to see this beautiful place and revere the perfect creations of the Divine God. Yesterday, October 15, I went up these beautiful paths and planted a small sapling of orange in memory of the beautiful life of Louise Hay, and let her know that in all the world her love lives and bears fruit.